As Portland anticipates experiencing hotter, drier summers with more high-heat days and longer, wetter winters with increased storm events, PSU is looking to vegetation types found 50 miles east that are more suited to drought and intermittent heavy rainfall. 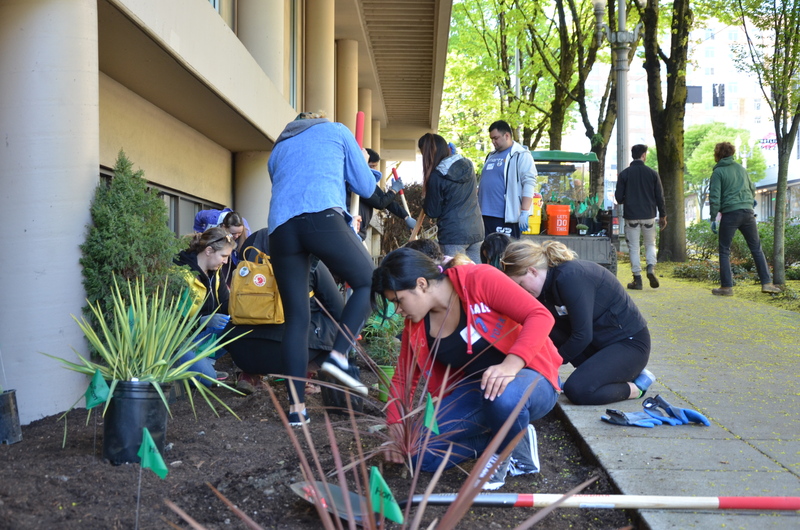 For Arbor Day 2018, alongside PSU’s Earth Day of Service, the university implemented a Climate Resilient Vegetation Planting on the PSU campus. The planting turned an underutilized planter space into a resilient vegetation showcase. The climate resilient vegetation was planted on PSU campus. The Portland CRUX Fellow led this project in partnership with PSU’s Groundskeeping and Maintenance, the Student Community Engagement Center, and Facilities. The project was funded through an external grant. 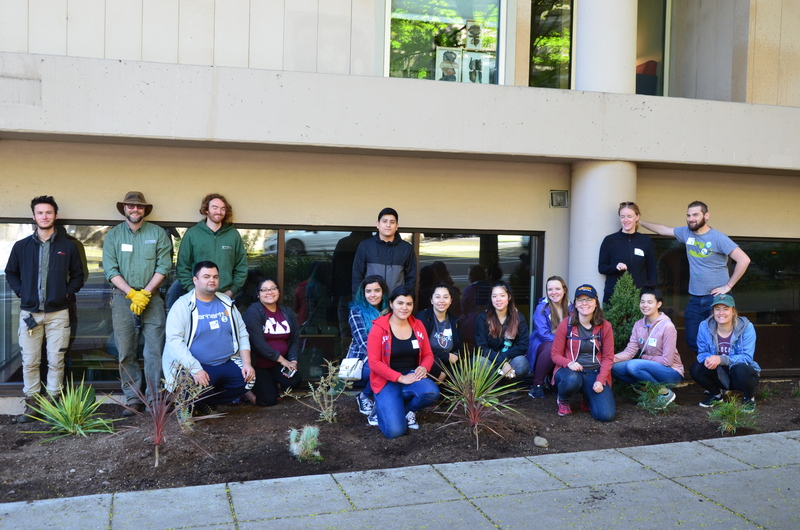 The Groundskeeping and Maintenance and Facilities departments partnered with student volunteers to plant climate-suited vegetation during an Arbor Day activity. The resilience assessment process leaned in to the ambiguity of some resilient concepts, while really highlighting the necessity of on-the-ground, tangible examples of resilience. By doing research, utilizing the expertise of campus staff, and engaging students in planting, this event was able to demonstrate a lasting resilience benefit. This benefit will be enjoyed by the campus, community, and both the individuals who participated in the event and those that will enjoy the garden in the future. Plant survive and use of space will be used as metrics to evaluate success. PSU would eventually like to add signage about the choice of plants and how they relate to climate change resilience. 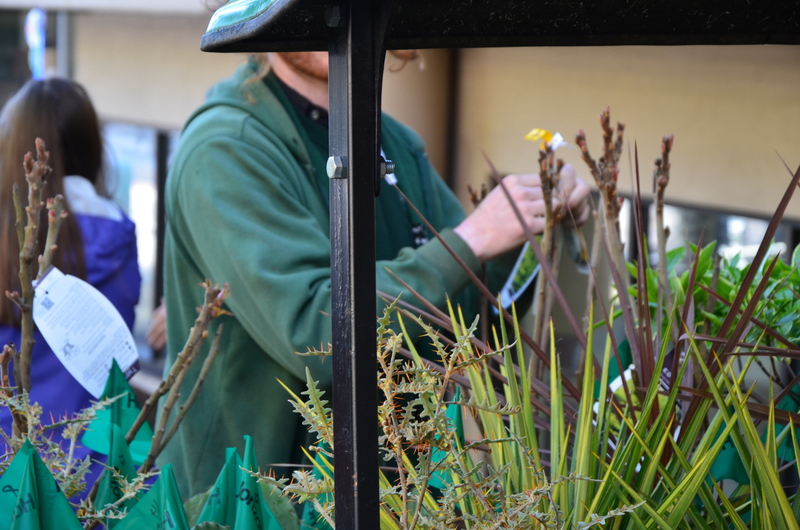 The planting activity was a way to engage and educate students and campus community members.